Melbourne Airport Transfers – At Melbourne Limo vans we also specializes in all types of airport transfers. Whether you are arriving at Melbourne or Avalon Airport or departing. Melbourne Limo Vans take pride in transferring customers to/from the Airport. We provide quality van service to each and every passenger. We understand the rush and urgency of heading to some other place and country for a holiday or business. Traveling is already a stressful thing when you are in large group. We thoroughly appreciate and respect the timeliness. All our drivers ensure all the passengers are safe when we drop them off. Our drivers don’t leave from the drop off point or destination until passengers enter their respective house or chosen destination. Customers being our priority, we are always happy to help with your luggage too. If you are about to arrive at Melbourne or Avalon Airports, you can book our cab service and we guarantee that our driver will be there for you. Even if your flight is delayed, you don’t have to worry about notifying us. We will keep track of your flight and will be there at the airport when you arrive making arrival easy. Book a limousine to or from any airport in Melbourne and travel in style! Our goal is to help you travel in style, whether you’re on holiday or want to impress important clients for your business. That’s why here at Melbourne Limo Vans we offer you luxury cars driven by certified chauffeurs. Your convenience and safety is our main concern, so you can get the most out of your visit here in Melbourne. Why choose an Melbourne airport transfers limo service? Reliability – We assure you that our chauffeurs will be there, ready and waiting upon your arrival. We operate 24-7, throughout the year. Our vehicles are also strictly and painstakingly maintained to prevent any hitch in your schedule, as well as looking great, so you can get the most out of your stay here in Melbourne. Flexibility – We understand that air travel can be unpredictable. Delays in connecting flights as well as weather conditions can cause changes in your flight schedule, so if you book our melbourne airport transfers limo service, we keep tabs on your flight and have a very open line of communication to adapt to any eventuality. Convenience – If you and your party are on travelling, chartering our limo service saves you the hassle of competing for airport taxis. Our luxury vehicles are at your disposal so you can safely travel to and from the airport safely and comfortably. We’ll spare you from the stress associated with public commute so you can focus on more important matters during your travels. We can take you to or from any location in Melbourne to or from any of the above airports. Consider the size of your party. We have a variety of vehicles which you can check here to effectively accommodate your needs. Plan ahead. We are more than happy to include any preferred routes or stopovers when using our services. Why Choose Our Melbourne Airport Transfers Service? We are always on time or even before the time and driver will call you 30 minutes. All our drivers are strict professionals. No matter how early or late you book, we strive to accommodate everyone. All our quotes include toll fares and every other charge in it except when you pay by card as that will be 5% extra. The one thing which makes us better and different than others is our guaranteed on time service. We believe in keeping our Melbourne Airport Transfers limos clean. We also offer pause time for a short time for refreshment or smoking purposes. Covering 99% of Melbourne area, we are expanding our number of cars even more for the passengers to keep away from waiting. We offer nice and comfortable seats for our customers. In case, you book the cab earlier in the day or earlier than that, we send you a reminder text 30 minutes prior to the booking time. Looking for a tour to Melbourne Wineries or Beaches? We have this service which we run on special requests for Melbourne Wineries and beaches. Let us know which beach you want to travel or which winery you would like to travel and we can make that happen. We also have tour service for Melbourne Sightseeing places on very genuine prices. Our sight seeing service have trips to Ballarat Gold Mines, Great Ocean Road, Philip Island or Puffing Billy Train Station. Please head to our Melbourne Tours page to find out more or book. To avail our Melbourne airport transfers service please fill the online enquiry form. You can also call us on 0432 712 248 to get a customised quote. Don’t forget to tell us about all your plans and to include number of passengers. 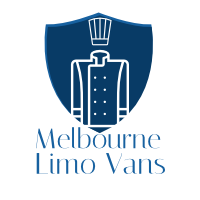 Melbourne Limo Vans is a private Melbourne based limo van company that is servicing Melbourne City and Melbourne Airports for all shuttle bus and maxi taxi needs.